I write a comment to Maggie on her book review and get a response, “Well, hello and thank you kindly for stopping by. OK, stand back folks! Let the marching band through to announce my 500th follower! Whoo-hoo! C.E, it’s you! Thanks!” (C.E., initials for Christine Elizabeth). My response back, “Whoo-hoo for me! That might be some kind of a good luck number. I’ll do a blog! Maybe precisely 500 words about being your 500th follower, and see what happens. I can assure you it will have a funny twist. Awkkkk…what did I get myself into? 500 words are two pages long, and with a funny twist? Right at the start I’m at a disadvantage. Think of it, in line with 499 others. I’m at the end, a heart wrenching thought. How can I be happy or funny with that? All I can hope for is that she gets followers following me (good idea, follow my blog site too), and I can hold up a half-way mark Success Banner as the proud 500th follower of 1,000. Then I can say, Whoo-hoo, way to go Maggie! But that will be short lived; she’ll be on her spunky fast way to a million. That might be a funny twist right there. But first things first, let’s try for 500 facts, not the number of facts, just the number in the facts, from the internet. Some are fun, and some are just plain unable to understand stupid! Simpson’s 500th episode of “At Long Last Leave,” not awful but not spectacular. AOL Thinks it can Succeed as the 500th Groupon Clone. Whaaat does that mean? The 500th episode of Monday night WWE RAW Live. Wrestling anyone? The 500th Being Had Times! Vitebsk sold to Russia. From Russia with Love? Letters to an Unknown You. Part 15//500th blog post. Hint of a smile for this one? Awkkkk again…don’t think 500 facts will cut it! So, Maggie, I’ll go with the 500 words with a funny twist about being your 500th blog follower. Love the Whoo-hoo, stand back folks for the marching band, and proudly hold up the half-way mark Success Banner, with the hope that followers follow me. Picky! Picky! Word.doc word count is 500. WordPress’s like a jumping bean! This entry was posted in Featured Friends, My Blog, My Entries and tagged 500 word challenge, Ellen's book The Divorce Diet, Humor in writing, In the middle, Love those Zombies, Maggie's 500th follower, Marching band, Meet experienced bloggers, Meet great writers, Success Banner, With a funny twist, WordPress Blogging 201. Bookmark the permalink. Thanks Jodi. It was fun writing it! Love that word Javareload…coming from you it’s a compliment. This goofy person (close relative) is trying to put fun in writing, and she made it! Yay! You did, Christine! Yay for you, yay for me, yay for we! OK, clearly I’ve had my two cups of coffee and am off to a roaring start. But it’s certainly heightened happiness because of this post. Thank you! Did this brighten my day or what!? 😀 Drop on over to meet Christine Elizabeth Robinson, C.E. 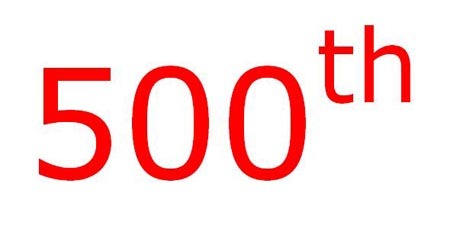 for short and for longer (500 words longer to be precise), my 500th follower! To think Zombies brought us together in Blogland! That puts a smile on my face…everyday! Whoo-hoo, I’ll still hold the half-way mark Success Banner as the proud 500th follower of 1,000. I’ll be the FIRST of many…you’re on your way to a MILLION. Loved your post 🙂 Congrats on being Maggie’s 500th. She has a great blog and I look forward to browsing thru yours. Thanks Iris for visiting and liking this post. I look forward to looking around on your site. Thanks so much Sammy! So happy meeting you in Maggieville! Thanks so much Merideth! I appreciate your kind words and liking the posts. I also look forward to reading yours. Interesting to read about Essential oils and you life in Seattle. Oh, Oh. Now I’ll have to come up with something about I love Zombie hats and a Thriller mash up! There’s no end in sight to this Zombie humor! CE (Christine Elizabeth). A message for Victoria “Lipstick & Coffee” blog site. I tried to leave a reply on your site and it was necessary to Log In. It didn’t take my wordpress name and password. Sorry…don’t know why! I liked your site and the posts! Thank you so much! Just visited your blog site and loved reading your posts. I’ll be following. We have quite a nice group of blogger Zombie fans. Now there’s a blog idea! Barbara, thank you so much for reading this post and making a comment. I checked out your site and I’m intrigued to read more of your writing. Seems we have some things in common. Probably not the love of Zombies! But, I’m also writing memoirs (in progress), my own and coauthoring one with a dear friend in Switzerland. My daughter-in-law has two published children’s books. I have a post about that on my site under Featured Friends. Happy writing to us! Well, that was sure fun. Congrats on a great post, Christine. Thanks so much for your comment on the post! Glad you like it, It sure was fun to write. I’ve read quite a few of you posts and enjoy them a lot. I’ll be back to read more! So late to this party but just wanted to say hi and what a creative and fun idea for a blog post! Barbara, thank you for reading the post and following my blog. I’m heading over to Silver in the Barn to check out your site and follow! He he this was a funny post. One thing I like about many bloggers is the humor. Thank you for visiting and making a comment! Me, too! 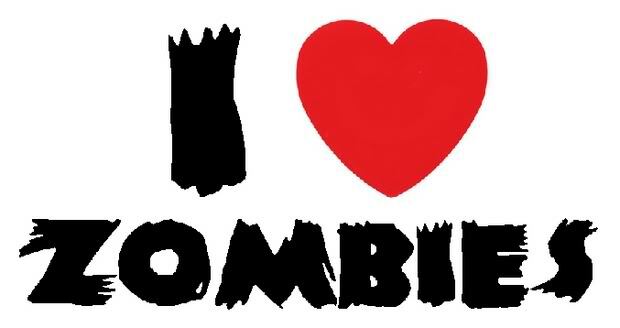 That’s why I love Zombies, the cute ones. Look forward to visiting your site and looking around. I think I’ll find some humor there too! Well, I’m not as humorous as you guys, but I try to post fun and interesting stuff (although “fun” and “interesting” are also subjective he he). Thank you for visiting so often! And thank you for your kind comments! Seems I’m going to be blogging for a long time, just love it! Thanks so much for the visit. Glad you liked the post and will come back to read more.